Dieser Artikel zeigt warum eine Leuchtstoffröhre nicht mehr funktionierte und die Erfahrung deren Reparatur. Diese Aktion hat die Folge, dass man jetzt die alte Leuchte niet wegsmeißen muss sondern weiter verwenden kann, aber auf Grund des Alters der Leuchte war es nicht so einfach sie sicher zu reparieren. The S/P ratio has been explained before on this website. Now two Technical Memorandums (TM 12-12 and TM 24-13) of the Illuminating Engineering Society of North America (IESNA) elaborate on how and how much advantage one can make on using light with a high S/P ratio. In short it comes down to this: at low environmental light levels (such as in streets at night with street lights on) your eye works with night vision (you loose the colors in your view but still can see a lot of details and overview with only moon light and light from stars). Lamps with a specific light (a specific spectrum) suited for this night vision (meaning high S/P ratio) will lead to an increase of brightness perception. So we need less light for the same brightness impression. 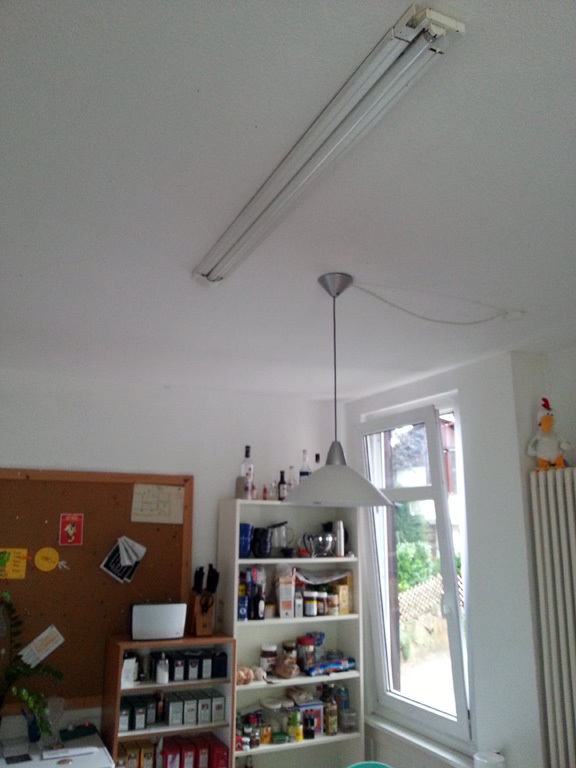 A second effect is valid for light levels indoor (reading, work on computer, work on electronic and mechanic setups, repairing things etc). When you use light with a high blue content (cold white, meaning also high S/P ratio) then this results in a decrease of pupil size which results in a sharper view. 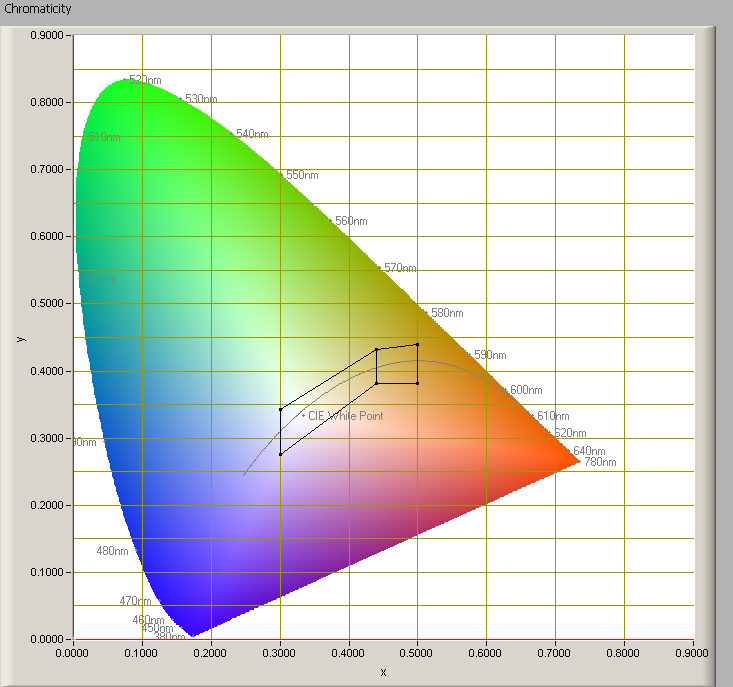 Thanks to this the average light level can go down to still have the same view-efficiency. In this article I explain the inrush current phenomenon for cold lamps. 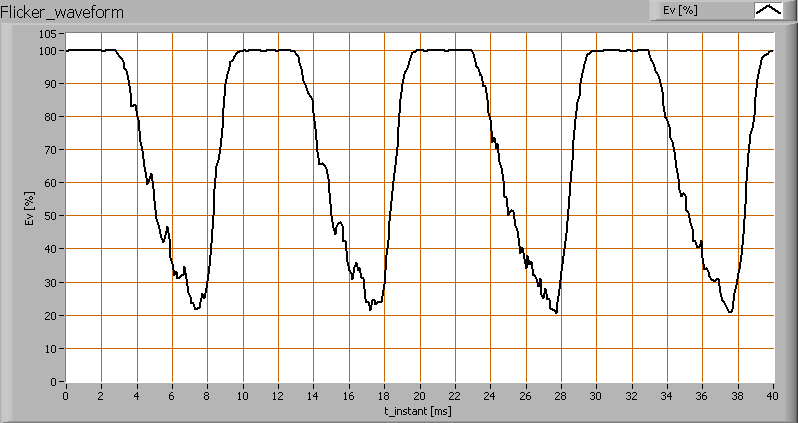 This is the current that flows in a short time period just after switch on of the (grid)voltage. This current peak for an (led) light bulb is directly comparable to that of a motor. The inrush current measurement function of for instance a digital multi meter is for the lamp inrusch current not suitable. The measurements on the inrush current at the measured lamps is done in a way that gives relevant info of the peak currents and a parameter is derived that is needed in selecting the correct fuses. This is an article that shows the dimming results of a linear halogen light bulb that is dimmed by forward phase-cut (LR) and backward phase-cut dimmers (tronic, RC). 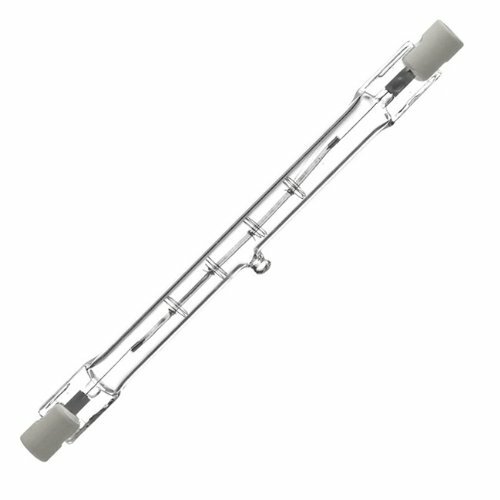 The halogen lamp is well dimmable in the sense of dimming the amount of light. The images created show what that means in terms of light output as a function of dim-position. What is remarkable is the amount of power still being high when the light has been dimmed a lot. The graphs can be used to compare other types of lamps that are dimmed, in order to be able to judge whether the dimming works well or not. When OliNo measures lamps working on 12 V DC and these lamps are dimmable, then it as a 12 V DC dimmer available to use. This dimmer is put between the 12 V DC power supply output and the lamp itself. It appears that this dimmer uses a pulse width modulation (PWM) to switch the voltage to the lamp between a high level and a low level; this at a speed invisible to the human eye. It is a very efficient way to adjust the average level of the voltage that is output to the lamp. This article gives a number of measurements on the output of the dimmer to show what the dimmer does with the voltage to the lamp. OliNo executes endurance tests on (led)lamps. 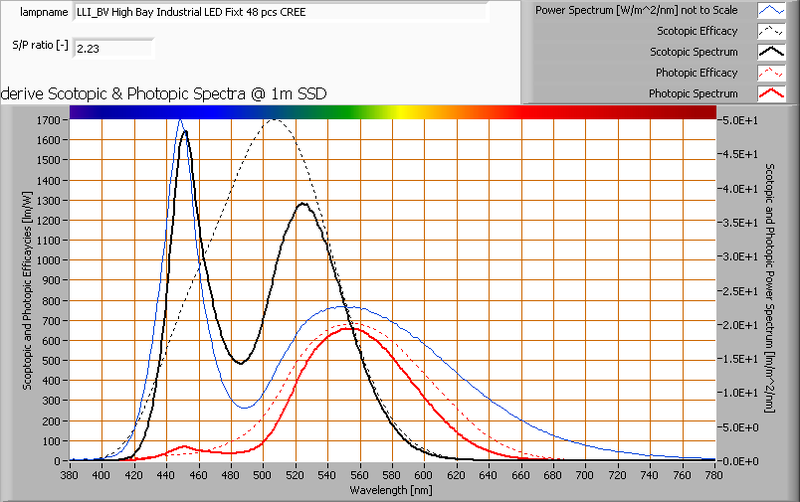 This article explaines what the data that is obtained when doing endurance tests on (led)lamps. An ASSIST publication was used as the basis for the derivation of the results of the measurements. First the test setup is explained and then the measurements done and extracted. When OliNo receives lamps that are dimmable then OliNo has a few dimmers to choose from. Dimmers that are connected between the grid voltage and the lamp have two main principles of operation: phase Wanneer OliNo lampen te meten krijgt die dimbaar zijn, dan heeft OliNo een paar dimmers waaruit ze kan kiezen. 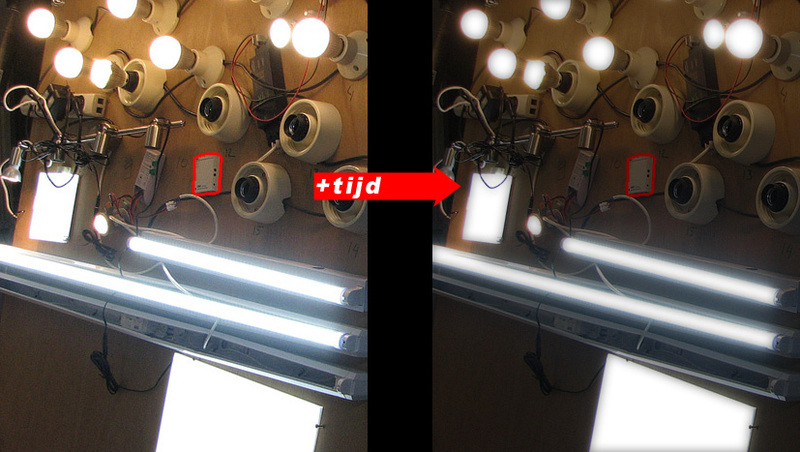 De dimmers die rechtstreeks tussen de netspanning en de lamp aangesloten worden kennen een tweetal dim-pincipes: forward phase-cut and reverse phase-cut. Some of it has been explained in an explanation article on this site. 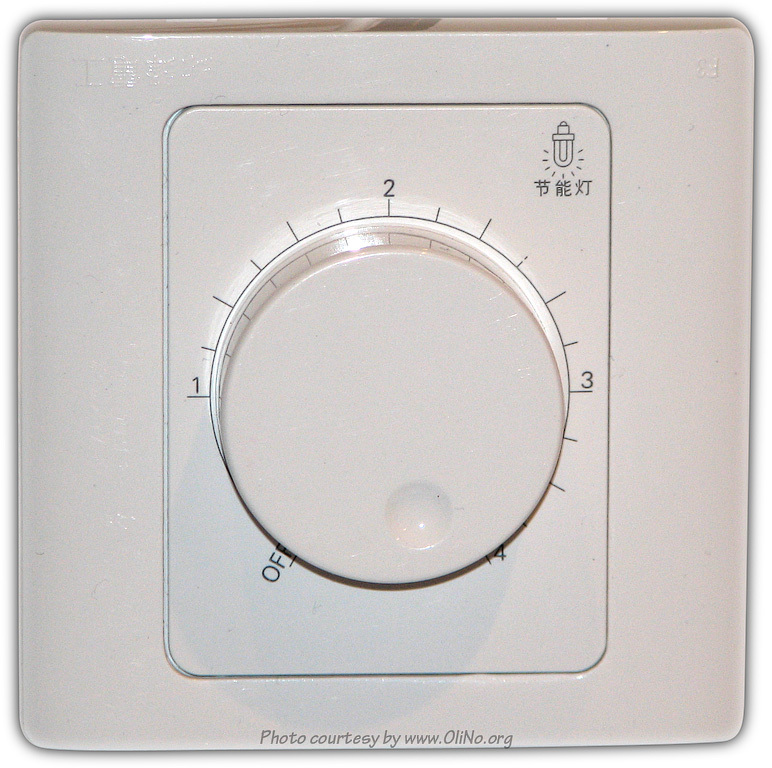 In this article the available dimmers are used for different types of lamps. The current and voltage are measured after the dimmer, so the voltage across the lamp and the current through it. It will become clear that there are different types of dimmers and lamps react differently. 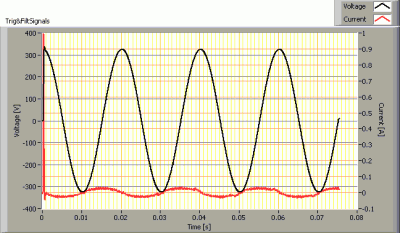 We will look at the voltage and current waveforms to see the differences. The article explains whether the lamp tested was well dimmable with a certain dimmer type or not. 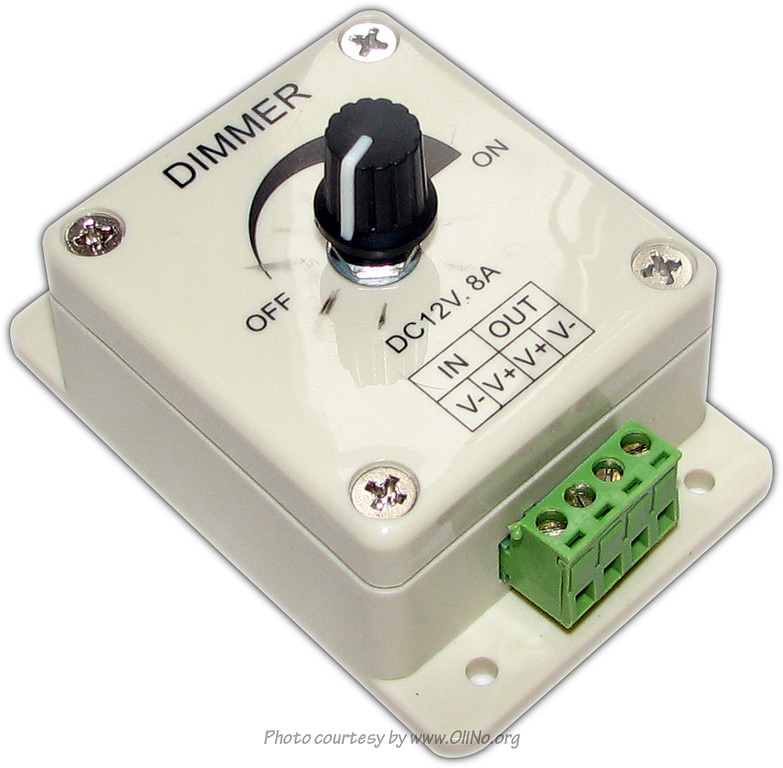 Update Dec 013: addition of new dimmer, the Lumeo Domus that works with loads from 7 W/VA. Update April 2014: addition of Busch Jaeger LED dimmer 6523 U.
Dimmers are used in many places, to gerenate the requested atmosphere. And one can believe that dimming also saves on consumed power, which is true, but how much? Lamps flicker when they are on. Well, most of them do. And with flickering I mean to say they vary in illuminance. There were messages in the media about (led)lams that flicker so much that people got a headache because of it when working in that light..
OliNo has a way to measure the variations in illuminance and attribute to it a number; a so called illuminance modulation index. This article explains how is measured and gives a number of examples.